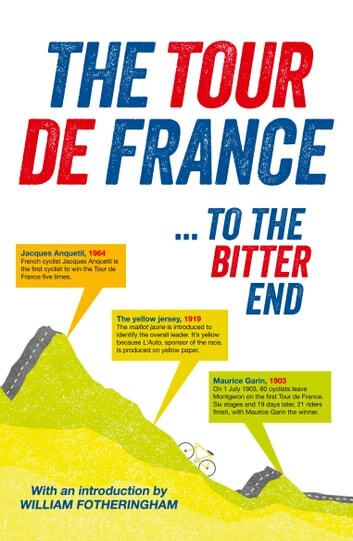 From small beginnings to doping scandals: a history of the Tour de France as reported by the Guardian and Observer.Having started in 1903 as a publicity stunt for an ailing French newspaper, the Tour de France is now the world's greatest sporting spectacle. Back then, cyclists raced alone through the night, sometimes at the risk of being beaten up. Today's riders pedal 3,500 km around the French countryside, cheered on by huge roadside crowds and accompanied by the mighty caravan of media, sponsors and support staff that keep the wheels turning. But one thing hasn't changed: the Tour remains just as awe-inspiring a test of mental and physical stamina as it has always been.The Tour de France ... to the bitter end is the best of over a century of Guardian and Observer Tour reporting, with pieces from Christopher Brasher, Michael Davie, Geoffrey Nicholson, WIlliam Fotheringham, Richard Williams, Phil Liggett and many other writers seduced by the power of the peloton.